The holiday season is upon us. The hustle, the hurry. Shopping, cooking, baking, parties and gatherings. The whirl can be overwhelming. 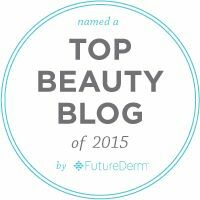 In the midst of the busy days and festive evenings, we want to look our very best. My favorite holiday makeup look is a classic, neutral eye paired with a great red lip. It's a look that works for just about everyone and is easy to pull off. Especially when you add beautiful, natural looking false eye lashes as a finishing touch. Esquido Mink Collection false lashes are some of the most luxurious, natural looking false lashes on the market. Fashioned from naturally shed mink hairs affixed to soft, pure cotton bands, these lashes are long lasting; they are made to be worn again and again, up to twenty-five times with proper care and storage. Lightweight and soft, they are comfortable enough to wear all day or all night long. Esqido lashes come to you in a lightweight snake skin look paperboard presentation box with a flip top lid that has a magnetic closure. 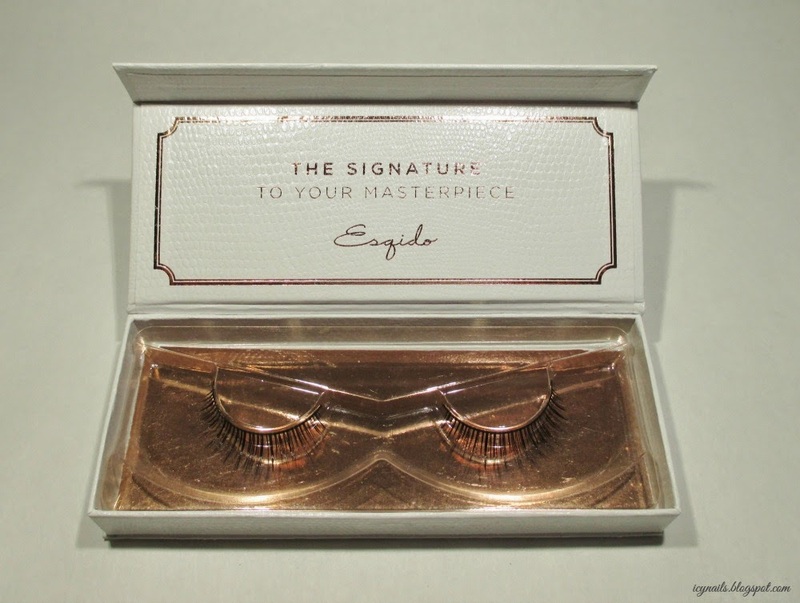 Inside, the ESQIDO mink eye lashes rest securely on their plastic mounts. I received the Little Black Lash to try. 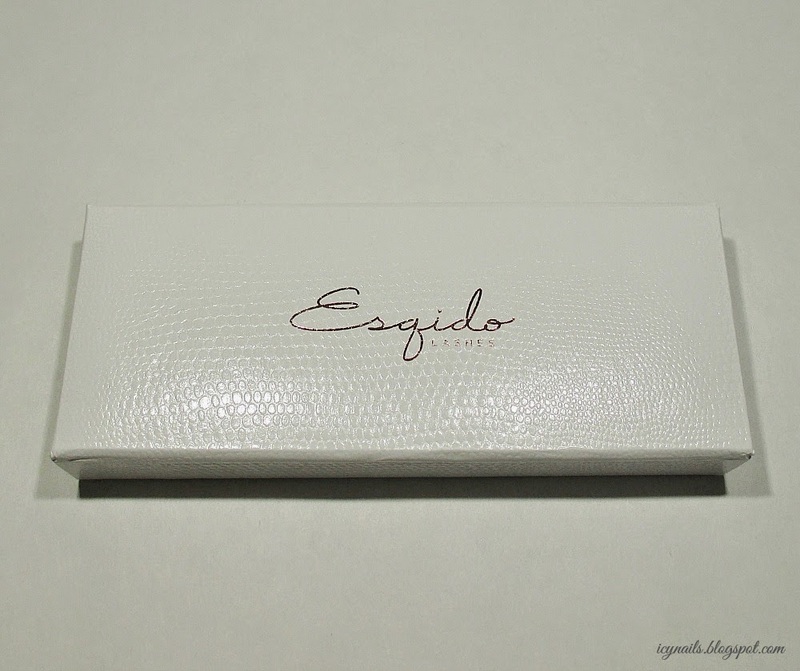 These are Esqido's most natural looking false lashes and, I think my favorites. I followed the application instructions after watching a few YouTube videos to refresh my lash application know how. I suppose I need to confess here that it has been a long while since I last wore false lashes and the experience wasn't the happiest one... Which was probably why I have been avoiding them, since. I found these lashes to be easy to work with. The bands are soft and flexible but not floppy, they went on without too much drama or fuss. Removal wasn't bad, I used a Precision Tip Q-Tip with eye makeup remover on it and they came right off. Cleaning the glue off was a bit of a pain but not too bad. I lost a few lashes in that process. I need to be a little more careful, next time I use these, as I want them to last the maximum number of uses possible. Once I had them cleaned off and sanitized with a little alcohol on the bands, I let them dry and tucked them securely back in their little case and put them away. I'm already trying to decide when I'm going to next wear them. My eyes, with no false lashes. Just a generous coat of mascara. I have pretty respectable lashes, not outrageous but not too bad. Having hooded eyes really overshadows them. With Esqido Little Black Lashes. I love how these lashes add a bit more length, a bit of volume but they aren't "too much." My application is a bit off. I did okay with the right lash but the left ended up a little too far over toward the outside corner of my eye. But it isn't drastic. I think, for not having handled lashes for so long, I didn't do too bad a job. I'll get better with more practice. Full face, no lashes. #wethairdon'tcare My eye look is from my Urban Decay Vice 3 palette. 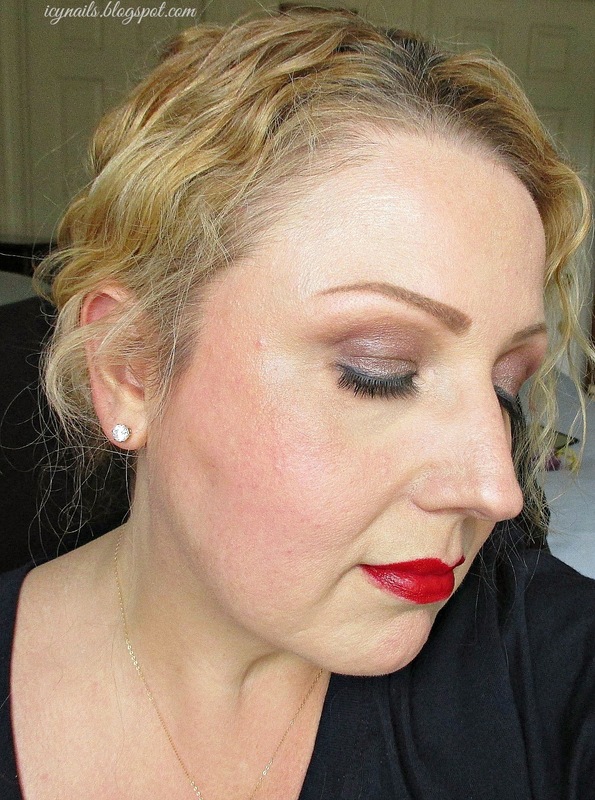 On my cheeks, Nars Final Cut, lip colour is Hourglass Canvass. You think I'm going to... Cook? Yeah. Right. 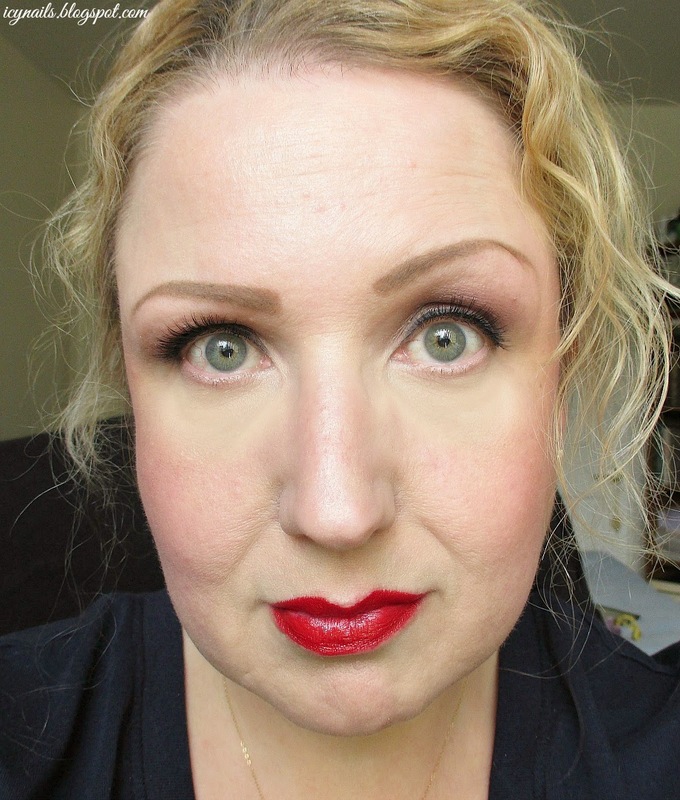 Full face with the Little Black Lashes and I changed my lip colour to Bite Beauty High Pigment Lip Pencil in Pomegranate. Hair dry, up in an easy twist anchored with some old favorite hair sticks. With simple, elegant jewelry, all I need do is change my outfit and I am ready for anything. I just love the way that these lashes look! They give me the extra lash oomph I crave but they aren't overwhelming. Not too long or too thick. Huge lashes just aren't my personal style. I love how they look on other people but on me, I feel that they are ridiculous. 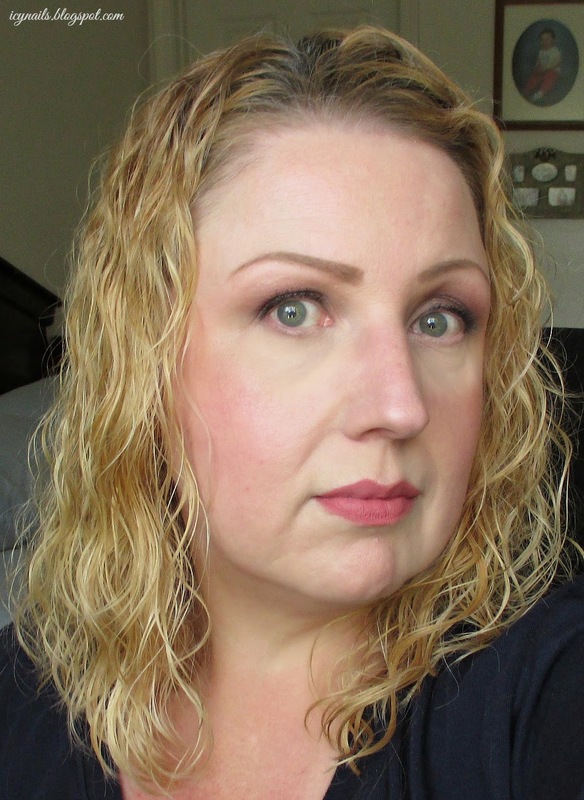 The Esqido Little Black Lash is exactly what I like. Have I mentioned how soft these lashes are? They are. Soft. The hairs feel almost as soft as my own natural lashes. They are not stiff or staring and while they have a natural gloss, they are not artificially shiny or "doll lash" like. Something else I like about this particular style is that I can wear them with my glasses and don't have any annoying bumping and swishing up against the lenses. Okay, let's talk price. At $34.00 these lashes are not inexpensive. I get that they may be a bit spendy for everyday wear. But for a special occasion; a wedding, a holiday get together, an anniversary dinner or a night out with your special someone, these lashes will make you look and feel beautiful and special. They are, in my opinion, worth the splurge. I would definitely treat myself to a new pair, when these are past their life cycle. I don't wear lashes often so they will last me a long time. And, if I break it down, these lashes cost just $1.36 per wearing, if they last the full twenty-five uses. So really, the price is pretty reasonable. You can buy Esqido Mink Collection Lashes here. Styles range in length and thickness from the subtle, elegant Little Black Lash for $34.00 to the full on glamazon Amp it Up for $42.00. There is a style to suit every false lash lover and every occasion. You can follow Esqido on their social networks: Like them on Facebook, follow on Twitter, Instagram, Pinterest and Google+. Have you tried the Esqido Little Black Lash? Any other Esqido lash style? Think that you might? Which is your favorite? Please share. Beautiful!! They look so natural but thicker lashes. I love that they're the right length! And that you said they're super soft...and they were naturally shed by the mink. I would love to try them someday. Did you go out to dinner?? I thought you were wearing the lashes in the first pix! You have gorgeous lashes. The mink ones are very natural looking, though, and have a great style. The eyelashes look great on you! I don't every wear false lashes myself since I don't feel too comfortable with them on. They look great on others though. They look natural indeed! I'm not really into faux lashes but it's nice to amp up once in a great while. Looking gorgeous. I need these in my life. Vavoom! Now that's what I'm talking about. They look great but I'd never wear mink lashes. Even if the hairs used are from hair that is shed or brushed, the horrible farming practices the Minks are subjected to is disgusting. A life in a cage so small they can't even turn around is no life at all, so it's really no different between wearing a mink coat in my opinion. They look great! I want me some lashes now! Those lashes look so natural! These lashes are so elegant! 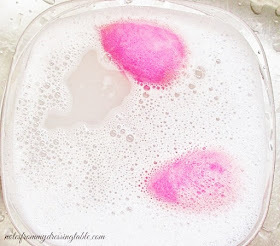 These look so natural and beautiful on you! Love them! Thank you so much. I really like this set. They do. They feel that way, too. They are a nice way to treat yourself. They are. They feel nice, for false lashes. I like that these are a bit more natural looking. The big-big lashes just aren't "me." :) I don't wear lashes often but with these, I may. These lashes are so pretty! You have beautiful lashes!! But, those fake lashes are stunning too! I love Esqidos lashes! They look so nice !